This company has been around since 1861, having been founded by Joseph and Lyman Bloomingdale selling hoop skirts, the latest fad. At the beginning of the twentieth century, the company increased greatly, being now well established within the industry. For a Bloomingdale’s application you will find the link available at the bottom of the page. Bloomingdale’s jobs come with a responsibility to help others something that the company knows a lot about. The company helps organizations such as Child Mind Institute, the Breast Cancer Research Foundation, Help USA, Joyful Heart Foundation and Mentoring USA, amongst others as it tries to make ours a better world. Its many services on offer include clothing, shoes, handbags, jewelry and accessories for women, men and children as well as a wide range of products for your home like, bedding, kitchen wear, furniture, home décor and more. An online shopping option is also available on their main site as well as special features for the stores’ visitors like, translators, personal shopping assistance, and hotel package deliveries. When looking for Bloomingdale’s jobs online you can rest assured that this is an environment where you will experience personal and professional growth. The company offers a team work and fast paced environment that is customer oriented and will require a good attitude, a smile and dedication. This is an excellent opportunity for someone considering a job in retail. Bloomingdale’s careers range from human resources, to flexible schedule sales professional, marketing and e commerce. Most of these opportunities will be available within the various branches of the company. E commerce position will be available in New York City and will demand some more experience within the industry and knowledge of more specific duties mostly involving multimedia. How old do you have to be to work at Bloomingdale’s? To apply for apply for jobs at Bloomingdale’s you must be of the age of eighteen or older. Excellent customer service skills are also a must as well as patience, persistence, reliability, energy and the ability to motivate yourself. The benefits included in working for this company are twenty percent off purchases within the stores, medical plans, retirement plans, dental plans, employee assistance programs and regular performance and recognition awards. 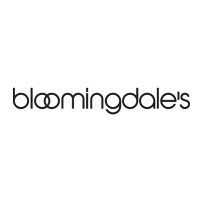 For Bloomingdale’s careers, the regular hours of operation are Monday to Thursday from 10:00am until 07:00pm, Friday and Saturday from 10:00am until 08:00pm and Sundays from 12:00pm until 06:00pm. Schedules may vary with the positions you apply online for as well as according to the jobs demands and availability, so pay attention to any mention of the schedule on the job opportunities you apply for. Commissioned Sales Professional – This position gives you the opportunity of earning percentage based commissions on sales. Tasks include applying suggestive sales techniques, ringing up purchases, assisting in sales and solving client’s queries regarding information on products and services available. The salary for such a position is around $10 per hour. Merchandiser – The duties attributed to this job can be replenishing stock, changing seasonal product lines, arranging displays and refining store layouts. This requires very good organizational skills and be able to work in a fast pace as they generally work early hours not to cause the customer any disruption. The pay for this job is around $11 per hour. Team Leader – The Team Leader position functions, mostly, on part time or irregular hours and includes mostly management duties. This would involve training new members of the team, setting schedules and maintaining inventory, driving sales and coordinating shipments, amongst others. This occupation offers a salary that revolves around $30000 per year. Store Manager – This job description implies supervising the assistant store manager’s work, as well as the team leader work. Duties will include hiring new staff, protecting against theft, processing payroll, organizing daily operations and driving sales. Some irregular working hours may also be required. The salary for a Store Manager position is around $80000 per year. After you have maneuvered how to apply for Bloomingdale’s online and submit your free application, prepare for the interview questions by studying what they might be. Where do you see yourself moving up? This question is used to find if you will be committed to a future with this company. Talk about your aspirations and how in line you believe they are with what you know about the company. Why Bloomingdale’s? It is essential to show that you have knowledge of what the company is as well as its values. Talk about what attracted you to make an online application for the job you are applying for. What are your strengths and weaknesses? Focus on the strengths you believe will help you complete your tasks and achieve your goals. Use feedback from previous job experiences to help you. Don’t avoid talking about your weaknesses but always mention you are working towards improvement and will take any constructive criticism to help you on your way. How confortable are you speaking to customers? Customer service is of extreme importance. If possible use specific situations you have encountered to help demonstrate your customer service skills. Can you name a time when you were unhappy with your work performance? Self-evaluation can take you a long way. Be specific and honest when describing a situation when this may have occurred. Talk about what you felt and how you dealt with it. What can your friends say about you? Do not think about what the employer would like to ear but about what your friends would really say about you. Be honest and focus mostly on qualities. For Bloomingdale’s jobs you will have to apply online as there is no printable application for Bloomingdale’s. You may, however, take your resume to your local store and enquire about possible vacancies. A printable application form is something you will not be able to take with you as you cannot download application form, so add a presentation letter that will make you stand out on paper. When making your direct application at one of the many locations where Bloomingdale’s is available, be sure that you look presentable, be amiable and smile the whole time you are there. Show you possible future employer that you are dedicated and professional, as well as cheerful and patient always demonstrating gratitude for the time spent helping you. You can also make a good impression if you fill in your Bloomingdale’s job application online paying attention to detail and being thorough. Make sure you have all the information you will need for your application form with you and that you satisfy all the employment criteria. Be honest in all your applications. Your Bloomingdale’s application may be the start of a great career. Show how willing you are to take on these new responsibilities and that you possess knowledge that would be an added value to the work team. Be respectful and always look presentable, no matter how many times or when you stop by. Target: Target offers opportunities for both, beginners and experienced roles. Conn’s: See our resource page for more information on Conn’s careers. Kmart: Visit the job application for Kmart to apply today. Barneys New York: Checkout the application page for work at Barneys New York. Peebles: Visit the job application for Peebles to apply today.